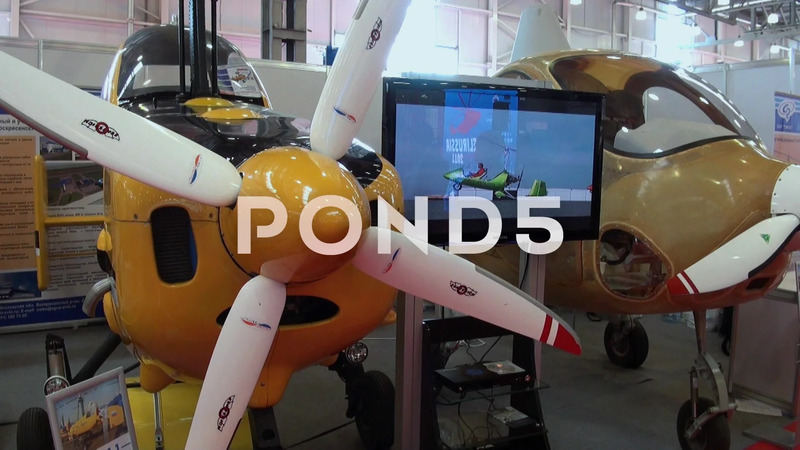 Manufacturers Stands Modern Autogyro Helicopters. Description: RUSSIA, MOSCOW - 21 MAY 2012: Manufacturers stands modern autogyro helicopters. Exhibition of helicopter military transport industry in Crocus Expo. Manufacturers stands, interiors and modern model.